I like the break overall, each pack has alittle for everyone basketball, football, swimming, soccer, etc….. 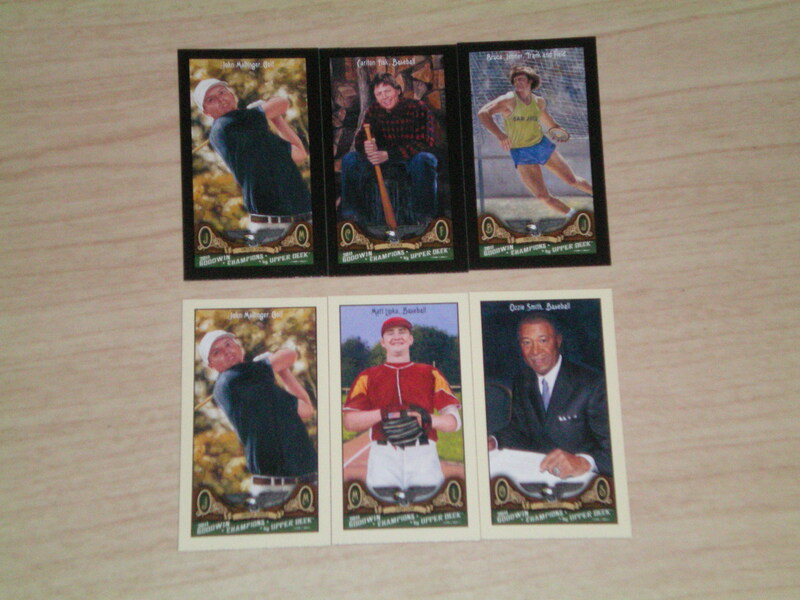 This blaster didnt score a game used or auto but did yeild 6 minis (3 black) and a Goodwin Citizens insert. 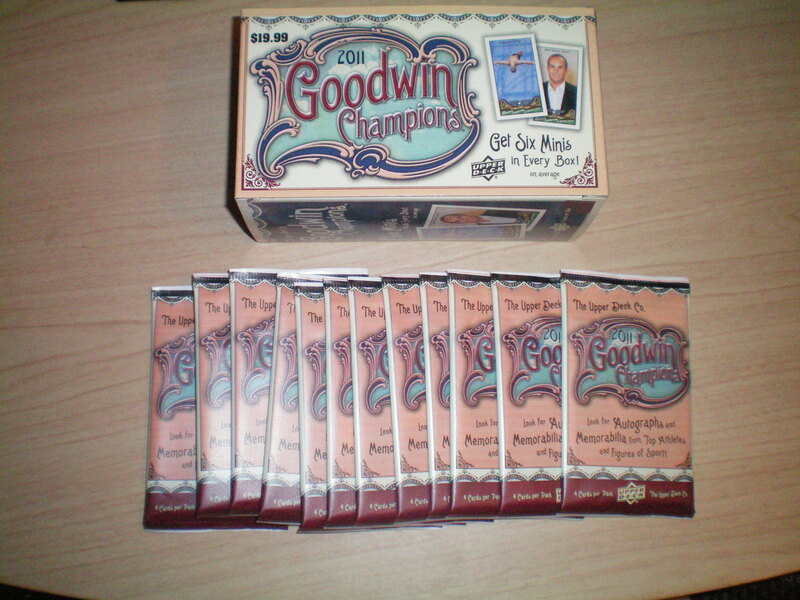 I’m looking for the two HOUDINI cards, both the full size trading card and the vintage tobacco card “mini” style.